A Chinese miner is the latest example of a shaky company without much of a future. China's alternative energy stocks and Brazil's telecom stocks rallied higher last week. 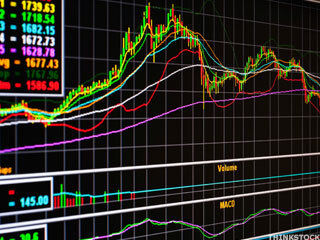 These stocks look poised to break out and trade significantly higher from current levels. China Shen Zhou Mining & Resources (AMEX:SHZ) has been downgraded by TheStreet Ratings from from a hold to sell. China's airline and Brazil's telecom stocks accumulated significant gains during the past week. Shares of China Shen Zhou Mining & Resources (AMEX:SHZ) have taken a tremendous swing upward. The stock is trading at $4.21 as of 10:22 a.m. ET, 21% above Monday's closing price of $3.48. Volume is at 2.2 million, 0.5 times the daily average of 4.4 million. Shares of China Shen Zhou Mining & Resources (AMEX:SHZ) were gapping down Tuesday morning with an open price 10.8% lower than Monday's closing price. The stock closed at $3.78 yesterday and opened today's trading at $3.37. Shares of China Shen Zhou Mining & Resources (AMEX:SHZ) have taken a tremendous swing upward. The stock is trading at $4.42 as of 12:27 p.m. ET, 25.2% above Thursday's closing price of $3.53. Volume is at 2.9 million, 0.7 times the daily average of 4.4 million. Shares of China Shen Zhou Mining & Resources (AMEX:SHZ) were gapping down Thursday morning with an open price 14.8% lower than Wednesday's closing price. The stock closed at $3.85 yesterday and opened today's trading at $3.28. The group's second recent rally is not based on fundamentals, so let's go to the charts. Despite recent controversy about U.S.-listed China stocks, the group in aggregate has risen smartly over the past month. Although the uptrend continues, it feels like the same old capital churning through the market over and over again. With China controlling 70% of global supply, graphite is in high demand in all aspects of technology -- from lithium ion batteries to aerospace and defense. The major indices may not be doing much, but that doesn't mean you can't find plays worth making right now. Although better-than-expected economic data has been bolstering the U.S. dollar and luring investors away from commodities, Chinese-based rare-earth plays continue to gather steam. 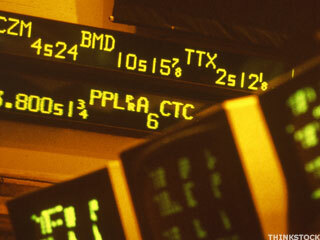 A handful of penny stocks, including Cost Plus and VirnetX, have seen tremendous gains in 2010. The performance of China stocks is becoming more company specific rather than sector specific. College student Andrew Anger is the first $1,000 monthly winner in Stockpickr's stock game. And all it took him to rake in that cash was time. Following are the emerging market ADRs that have outperformed both domestic and foreign bourses.